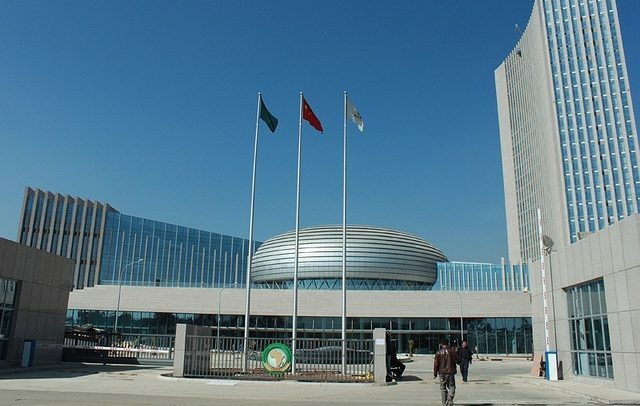 The 32nd ordinary session of the African Union (AU) opened yesterday amidst needless drama and botched protocol, provoking a lot of mind-boggling questions. It all started with the unveiling of the statue of His Royal Majesty, Emperor Haile Selasie I, the late Ethiopian monarch for the role he played together with the likes of Ghana’s Kwame Nkrumah and Tanzania’s Julius Nyarere to form the then Organisation of African Unity (OAU) in 1963 which has now metamorphosed into the African Union (AU). The programme, which was originally scheduled to start at 11am, took almost two hours or more before commencement. The Ethiopian Police Band was on hand to provide music for the occasion having endured the heat from the scorching sun at the forecourt of the Union’s headquarters building in the heart of the capital, Addis Ababa. At a point, the band, which had been playing from morning, had no option but to leave their musical instruments to seek shelter under some canopies. Journalists and their cameramen were next to follow since seats were not provided for them apart from being exposed to the sun and this brought a lot of murmurings and obvious expression of disappointment. When the dignitaries finally arrived, many people thought the Master of Ceremonies would have offered an apology for the late start of the programme but that never came. Protocol and security arrangements for the session were equally botched, with protocol officers and the AU’s own in-house security team often appearing confused. The intervention of the security details of the various presidents and government officials who were attending the ceremony brought some sanity to the place. In fact, presidents and their security detail had to battle it out with delegates, journalists and others to make their way to the ‘Multipurpose Hall’ where the event was being held even though it was originally meant to attended by people issued with special invitations with the exception of the presidents who did not need an invitation to attend. Sound quality at the programme was very poor, as the loud speakers sounded more like the buzzing of a collection of bees. One thing that shocked many was the fact that the podium, from where the two main speakers for the event delivered their speeches had been placed close to the entrance of the hall and surprisingly where guest had formed a long queue for a buffet. While President Akufo-Addo was addressing the gathering, people could be seen passing behind him with food, as though there was nothing happening. His Aide-De-Camp and other security detail had a hell of time trying to control the movement. Some expressed disgust at the poor organization of the entire programme.